Ehrmann AG is one of the largest milk processing companies in Germany. Yet Ehrmann is and remains an independent and diversified family-owned company and stands for real values and tradition in all the production and business sectors. In addition to the sites in Germany, Ehrmann AG has production facilities in Russia and in the USA, as well as sales offices in Italy, Spain, the Czech Republic, Poland, Finland and China. The Ehrmann AG Group also includes the companies J.M. Gabler Saliter and the Fleischwerke Zimmermann meat processing plant. Ehrmann brand products are sold in over 50 countries around the world. Ehrmann AG and its more than 1,900 employees generated a turnover of 750 million € in 2015. Ehrmann has created yogurt enjoyed by consumers around the world for nearly 100 years. Among the leading dairies in Europe, the Ehrmann family learned the craft of yogurt-making in Oberschönegg in Bavaria, Germany in 1929. The founder was the grandfather of Ehrmann’s current Chief Executive Officer, Christian Ehrmann. From its roots as a local dairy producer in Germany, Ehrmann AG expanded throughout Europe, as well as into many international markets. 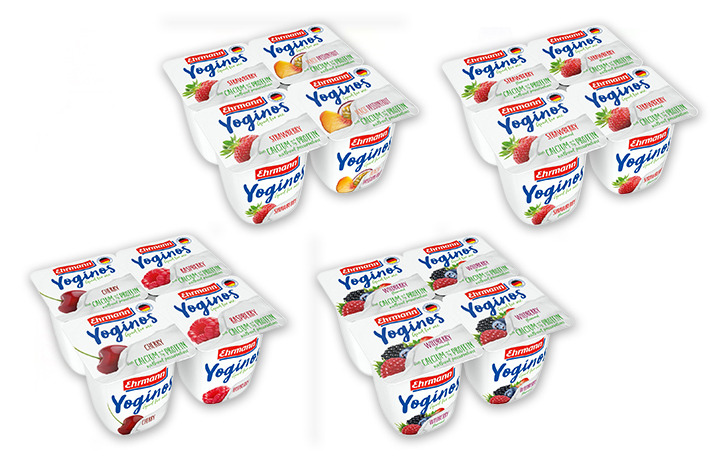 Today, consumers can enjoy its yogurt products in 40 different countries. Ehrmann owns and operates production facilities in Germany, Russia and the US with its newest facility in Casa Grande, Arizona, which was developed to support its entrance into this market. As Ehrmann continues to expand into new markets, remains an independent family enterprise that is dedicated to producing healthy, delicious yogurt for consumers worldwide to enjoy. Londou Trading became the exclusive distributor of Ehrmann AG in 2010 and since then imports and distributes Ehrmann products with great success in the Cyprus Market.